La gira en cuestión, llevará por nombre "Zip Code" , y arrancará el 24 de mayo en San Diego. La última parada confirmada será el 15 de julio en el Festival D'Ete de Quebec (Canadá). 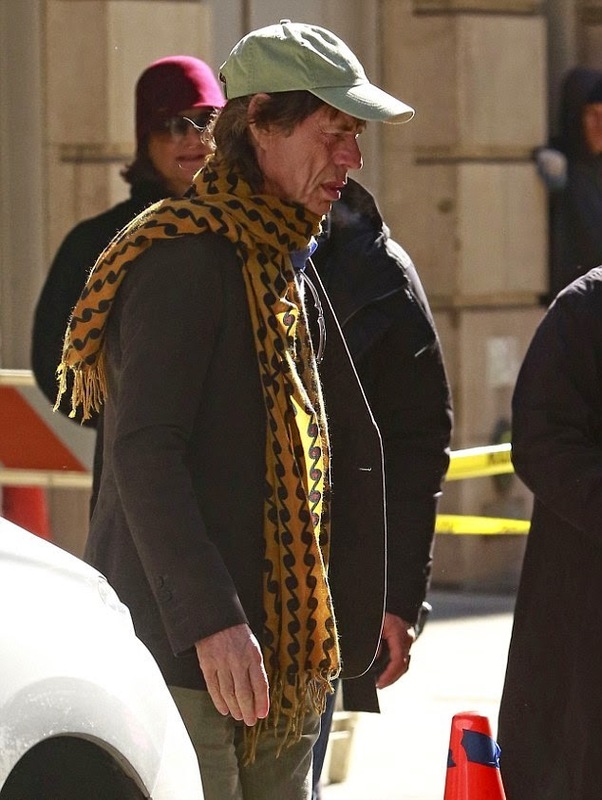 Las ciudades que visitarán los Rolling Stones son: San Diego, Columbus, Minneapolis, Dallas, Atlanta, Orlando, Nashville, Pittsburgh, Milwaukee, Kansas City, Raleigh, Indianapolis, Detroit, Buffalo y Quebec. The tour in question will be called "Zip Code", and start the May 24 in San Diego. The last stop will be confirmed on 15 July at the Festival D'Ete Quebec (Canada). 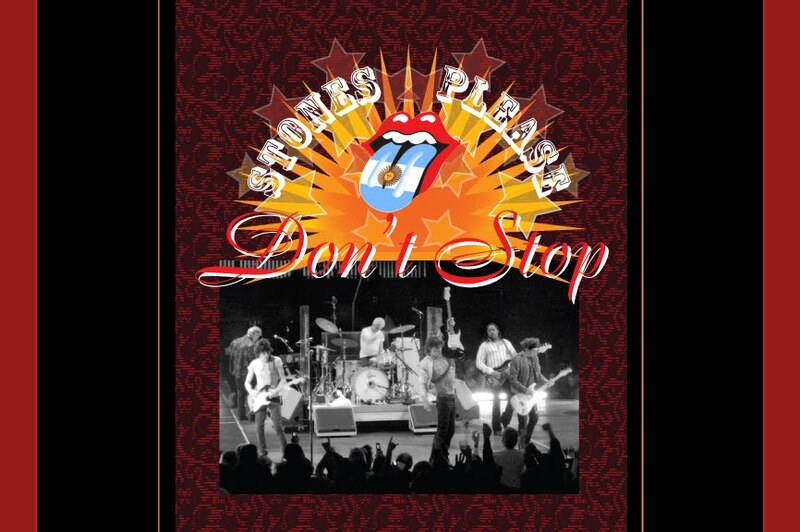 The cities that visit the Rolling Stones are: San Diego, Columbus, Minneapolis, Dallas, Atlanta, Orlando, Nashville, Pittsburgh, Milwaukee, Kansas City, Raleigh, Indianapolis, Detroit, Buffalo and Quebec. 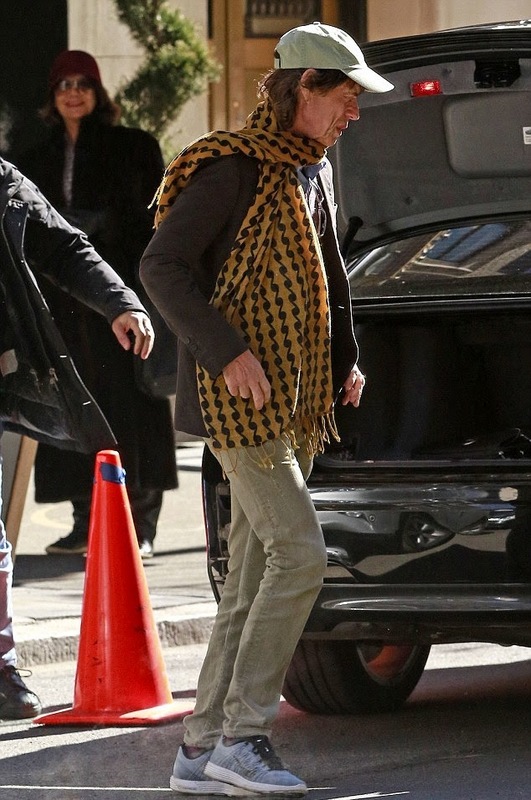 Señoras y señores ... los Rolling Stones están de vuelta! La banda ha anunciado que van a poner en marcha su nuevo tour por 15 estadios en ciudades de América del Norte, en San Diego el 24 de mayo en el Petco Park. El tour hará paradas en Columbus, Minneapolis, Dallas, Atlanta, Orlando, Nashville, Pittsburgh, Milwaukee, Kansas City, Raleigh, Indianapolis, Detroit y Buffalo para cerrar en Quebec el 15 de julio en Le Festival d'été de Québec. 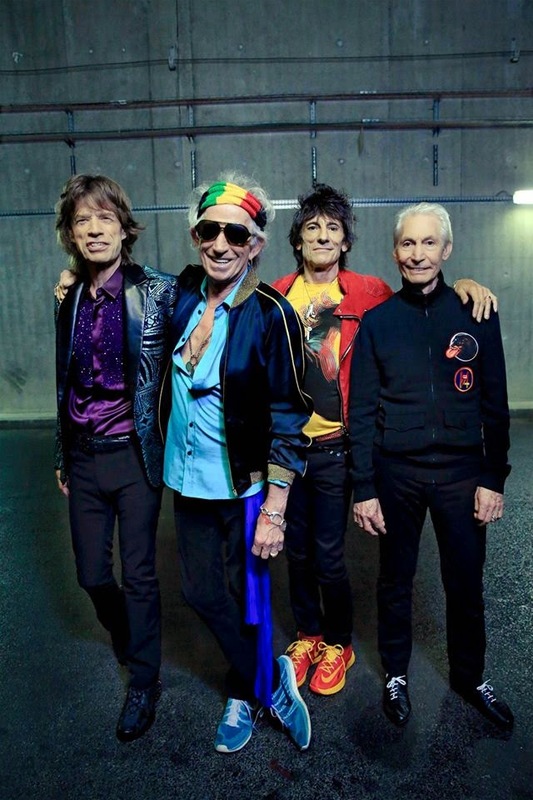 Las entradas para estas fechas se pondrán a la venta el lunes 13 de abril Para información de los tickets , visite rollingstones.com/tickets/. 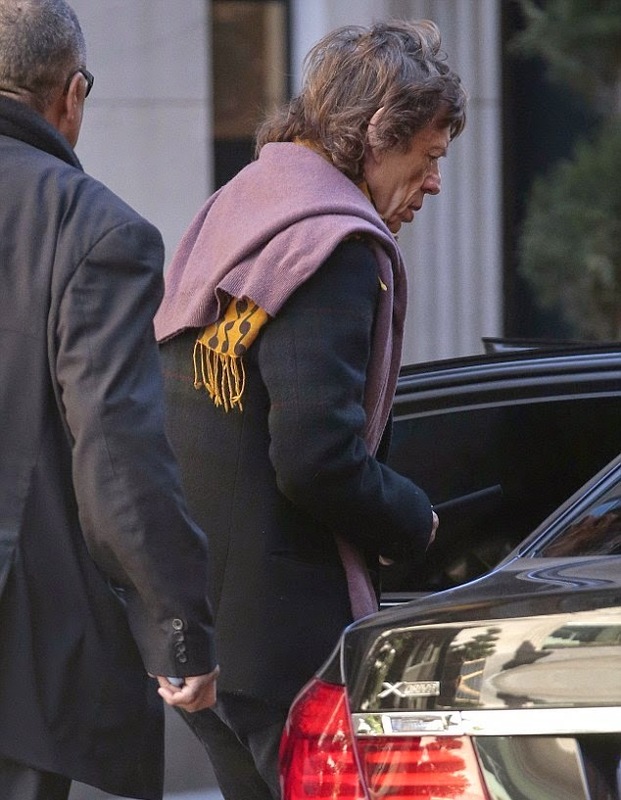 Mick Jagger and Melanie Hamrick photographed, as they exited a New York City building. 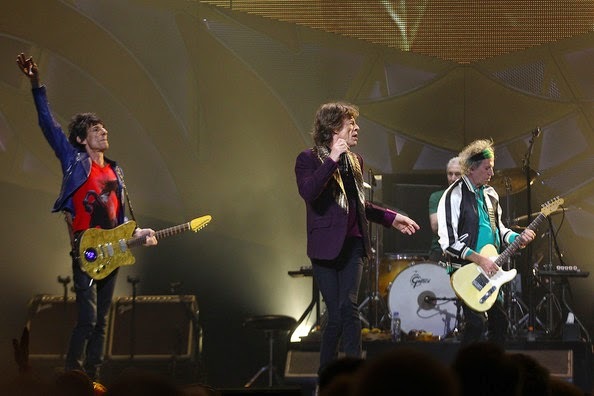 La edición 2015 del concierto que se realiza anualmente a beneficio de la Teenage Cancer Trust en el Royal Albert Hall de Londres comenzó con dos grandes sorpresas para los asistentes al evento. 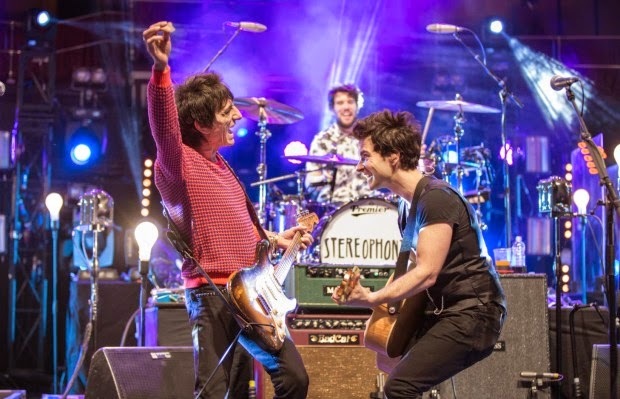 Con la banda galesa Stereophonics, como atracción principal de la noche, el público disfrutó de un ilustre invitado: Ronnie Wood, subió al escenario , para interpretar dos temas junto a la banda: "Ooh La La", incluída en el último álbum de estudio de Faces de 1973, y cuya versión original, es cantada por Wood, y "Handbags and Gladrags", cover del tema de Mike d'Abo de 1967 , que Stereophonics grabó en 2001. 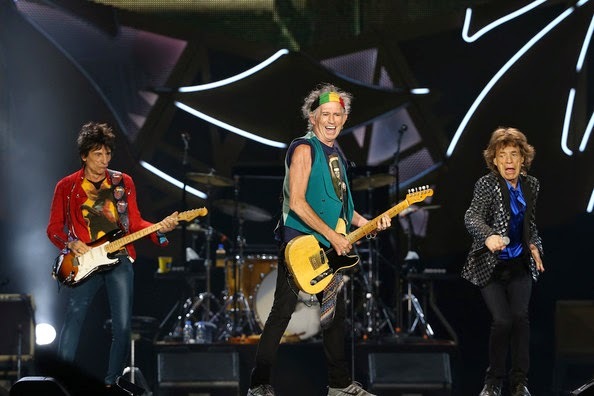 The 2015 edition of the concert held annually in aid of the Teenage Cancer Trust at the Royal Albert Hall in London began with two big surprises for attendees. 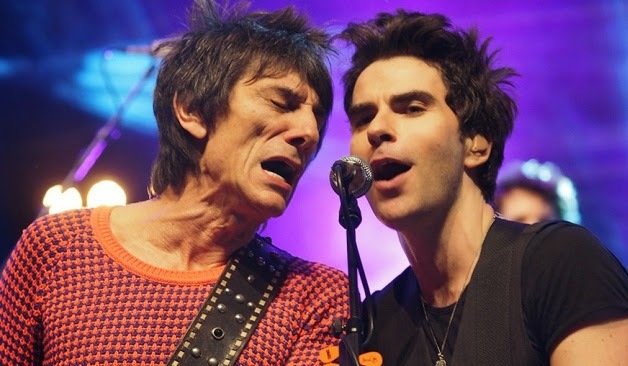 The Welsh band Stereophonics, as the main attraction of the evening, the audience enjoyed an illustrious guest: Ronnie Wood, took the stage to play two songs with the band: "Ooh La La", included in the final studio album Faces of 1973, and whose original version is sung by Wood, and "Handbags and Gladrags", cover of Mike d'Abo issue of 1967, which Stereophonics recorded in 2001.
se rumorea que Mick Jagger , està en los EE.UU , antes de un anuncio importante , sobre la gira por América del Norte, este verano. 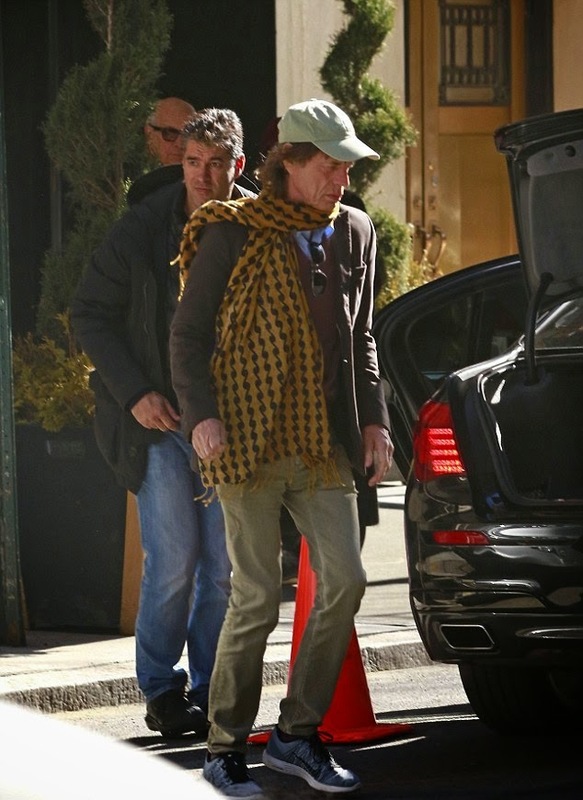 it is rumored that Mick Jagger is in the US, before an important announcement on the North America tour, this summer. source: John Smith , THANKS Friend! 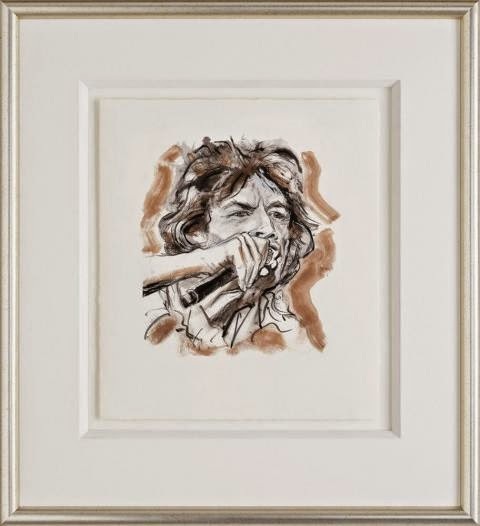 Drawn to Life is a portfolio of four hand signed giclee on paper images, that brilliantly freeze frames the latest chapter in the legendary history of The Rolling Stones. 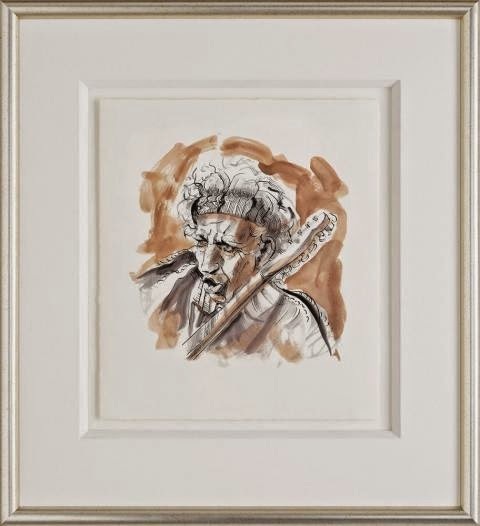 Painted recently whilst the band travelled globally during their ‘14 On Fire’ tour, this edition of only 295 is a prize addition to Ronnie Wood’s back catalogue, and indeed to any collector. 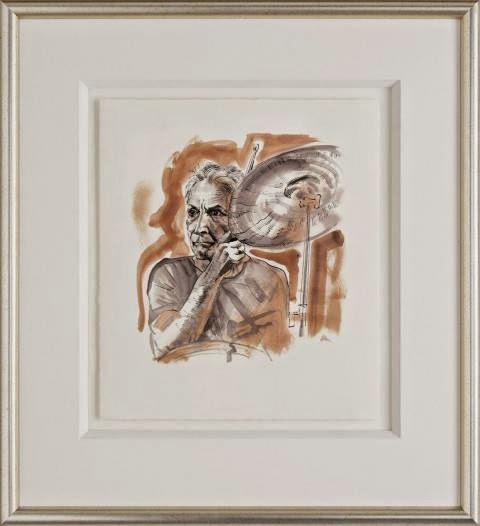 This special portfolio is printed on premium decal edged paper, and float mounted in bespoke framing to showcase the work at its best. 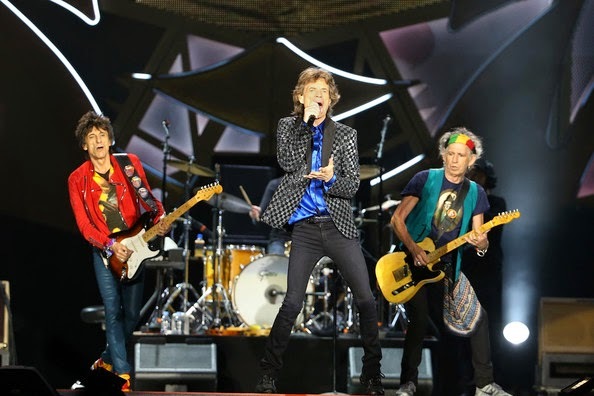 Diez años antes de unirse a los Rolling Stones, en 1965 un Ronnie Wood de 17 años , militaba en una banda llamada The Birds; y durante ese año escribió un diario , en el que reflejó “mi propio mundo privado”, con menciones a Jeff Beck, Pete Townshend, Eric Clapton, Keith Moon, Marianne Faithfull y otros muchos. Wood encontró recientemente el manuscrito y lo publicará en mayo en forma de facsímil. Con el título de “How Can It Be? 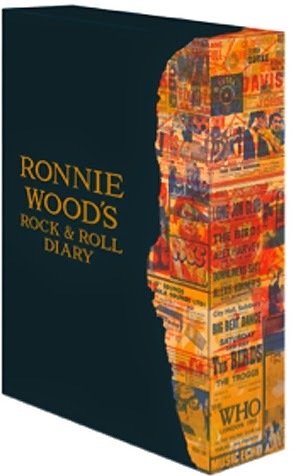 A Rock & Roll Diary”, la edición, limitada a 1.965 ejemplares firmados por Wood, correrá a cargo de Genesis Publications. 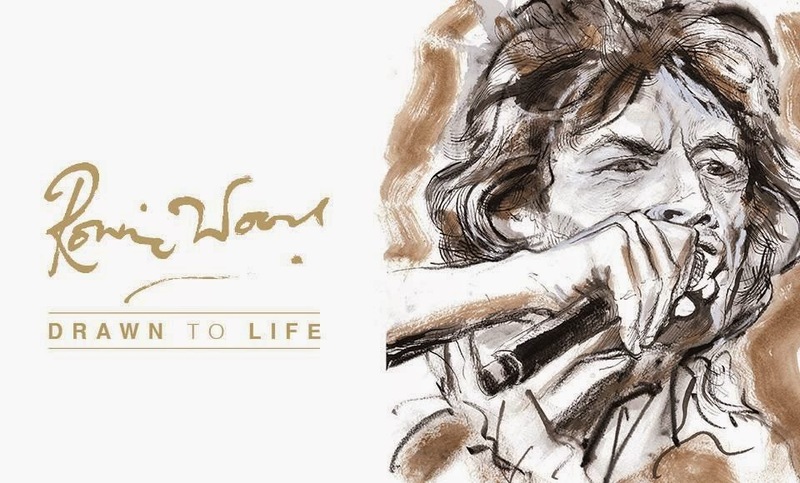 Además, Ronnie ha creado una serie de dibujos para el libro , y “reflexiona sobre las palabras que escribió hace 50 años y comparte sus recuerdos en un extenso nuevo manuscrito”. 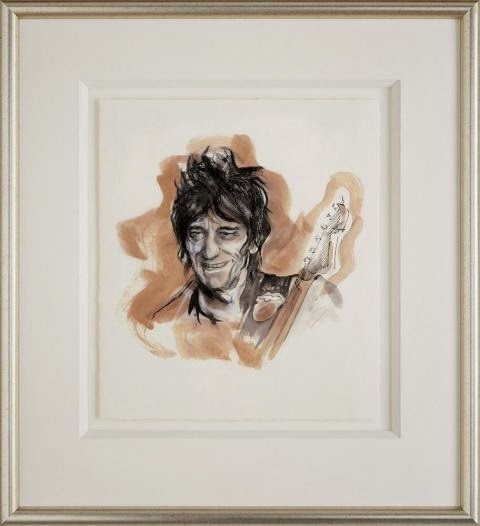 Ten years before joining the Rolling Stones, Ronnie Wood in 1965 aged 17, was active in a band called The Birds; and during that year he wrote a diary, which reflected "my own private world" with references to Jeff Beck, Pete Townshend, Eric Clapton, Keith Moon, Marianne Faithfull and many others. Wood recently found the manuscript and published in May as facsimile. With the title "How Can It Be? 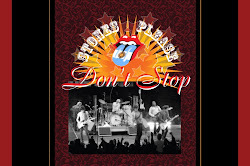 A Rock & Roll Diary ", edition, limited to 1,965 copies signed by Wood, borne by Genesis Publications. 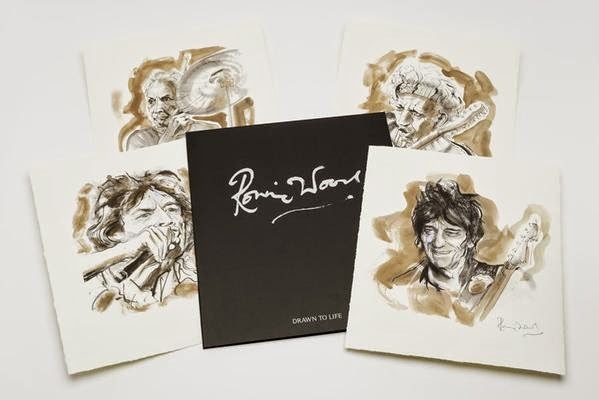 Moreover, Ronnie has created a series of drawings for the book, and "reflects on the words written 50 years ago and share your memories in a vast new manuscript".